The Huon valley is part of the southernmost region in Australia, and regarded by many, as one of the most picturesque places in Tasmania. The Huon and Southern region is renowned for its fine produce such as apples, pears, mushrooms, seafood, fruit, cheese, Ciders and Wines. We depart the Tasmanian Tourist Information centre ( every Thursday, Sep - June) at 09:15 to head to the beautifully situated Mount Nelson Signal Station Brasserie to have morning tea/coffee with fruit toast and embrace the outstanding views of the Derwent River, Storm Bay and surrounding area. The signal station was built in 1811, the first in Tasmania, and offers a fascinating insight into the history of the early colony. Informative panels in the station, describe the process of the semaphore signalling, station life and the role it played in report shipping, initially for the Port of Hobart and later for both Hobart and Port Arthur. After our morning refreshment, we take the 20 minute drive, passing through beautiful lush green rolling hills and countryside, the township of Ranelagh, for our wine tastings at Home Hill vineyard. 15 minutes drive from Home Hill, Pagan Cider. 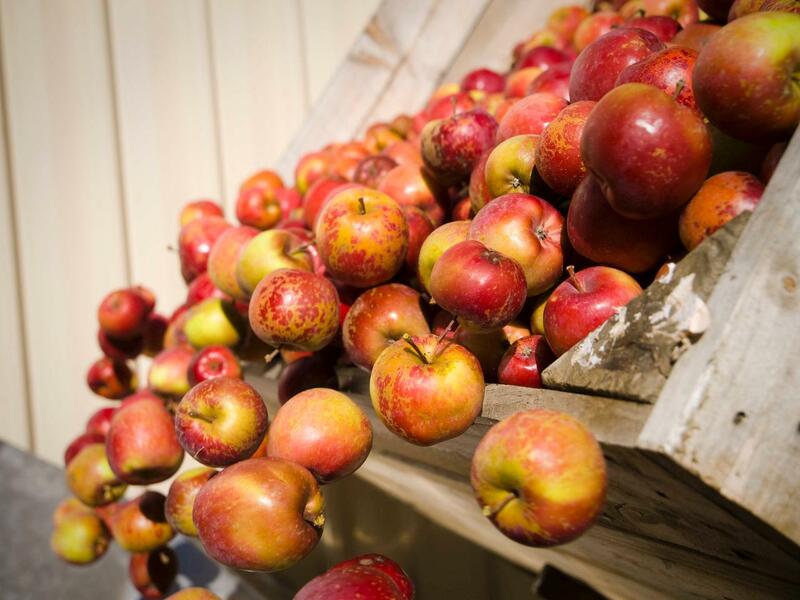 Blessed with clean air, rich alluvial soil, chilled foggy winters and long hours of summer sunshine, Tasmania's idyllic Huon valley is an apple growing heaven! After our Pagan cider tastings, we head back along the Huon River and back to Home Hill vineyard at Ranelagh for our beautiful lunch platter. This beautiful cellar door/Restaurant was constructed using rammed earth, local hardwoods and polished cement to capture the colours, textures and natural beauty of the surrounding vineyard and countryside. Our final tastings for the tour, and we make the short journey to Australia's 1st organic Cidery, where Willie Smith planted his first orchard back in 1888. Produced on the farm and crafted and matured in French oak to deliver a truly distinctive farmhouse style, full of character and flavour in the traditional method.